I buy most of my cleaning and household supplies from the Dollar General store. I usually can’t find them any cheaper anywhere else. I however, never shopped Dollar General for clothing. I’m really not sure why. I just always thought of Dollar General as my household supply place. Then my local Dollar General became a grocery store. I was surprised to find some of the best fruit and vegetables (at lower prices) in their produce section. Since shopping for more and more things at Dollar General… I dared to venture into their apparel section. And what did I find? Some very stylish clothing and accessories for the whole family. I’m all over the maxi dress right now. It’s such a versatile piece to have in your closet. You can dress it up or down. Add a cardigan or jean jacket for cooler evenings/nights. Wear it with flats, a scarf, and hat on a hot spring or summer day or a cardigan, heels, and some bling for a night out. And what women doesn’t need a sundress this spring or summer? It’s another must have staple for this time of year. I also like the accessories you can find at Dollar General. I’m loving the hats. I need to pick up a couple for our vacation this summer. Got to protect myself from those damaging rays, you know. 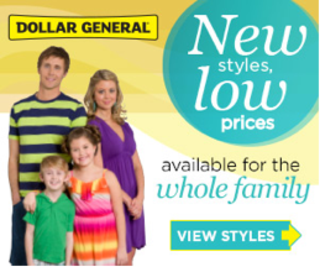 The next time you’re at Dollar General, check out the apparel section… you will find stylish, functional clothing and accessories for the whole family at unbeatable prices. You can like Dollar General on Facebook like I did, and follow Dollar General on Twitter, to keep up with what’s going on at Dollar General. You’ll also get in on special savings and coupons they offer. They have super cute stuff. I wish they had some around me. I could use some inexpensive summer stuff. Wow didn’t realize DG had so much variety! I’ve never heard of Dollar General before. I’m so glad to see they are adding clothing like this! I shop at DG all the time. I was just at Dollar General this morning! I need to get over to Dollar General to go shoppin! I would never have thought about clothes at Dollar General, we don’t have one near us. The dresses are really cute. We finally got a Dollar General just a few blocks away. It comes in very handy. Those dresses are super cute! 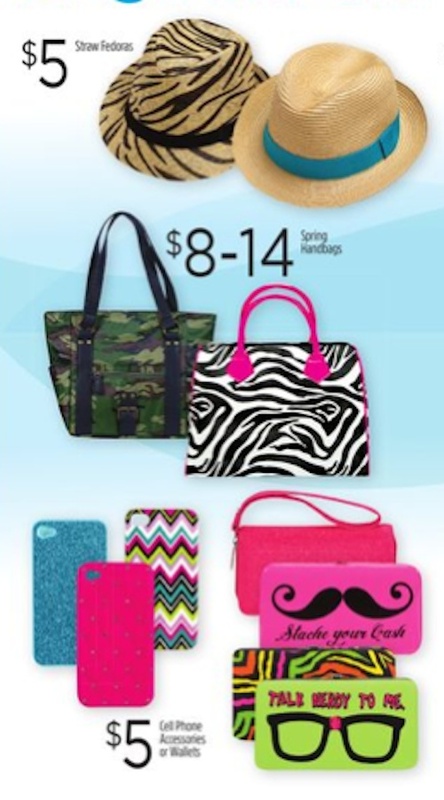 I love the mustache phone cover. I never would have thought to get some of that stuff at DG. Who knew you could be fabulous at dollar general. I did not know that they had such a variety of products and I love the prices. I’m not sure where there is one near by.. I didn’t even know that they sold clothes! I need to check them out! Had no idea they sold clothes and things like that…wow. Looks like fun “going to the pool” clothes! That pink and black dress is super cute.